Sound looks beautiful thanks to an ambient white light glow fromthe center turbine and an animated center ring of LEDs. 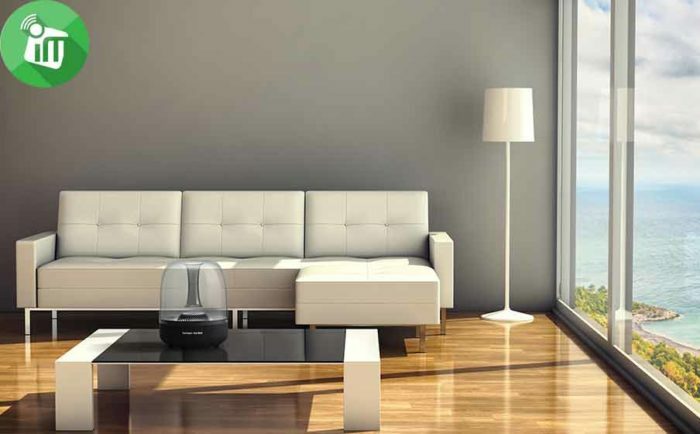 ♦ Six mid- to high-range 1.5” transducers for accurate, Omni-directional sound and a 4.5” subwoofer for rich, powerful bass. 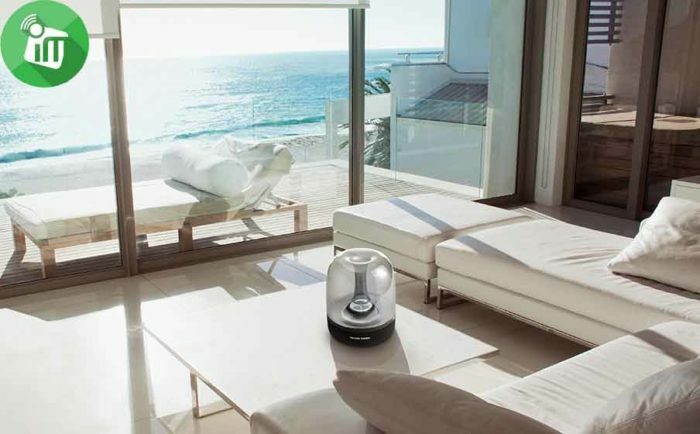 ♦ Optimized, stereo-widening DSP audio technology engineered for room-filling, full frequency sound. 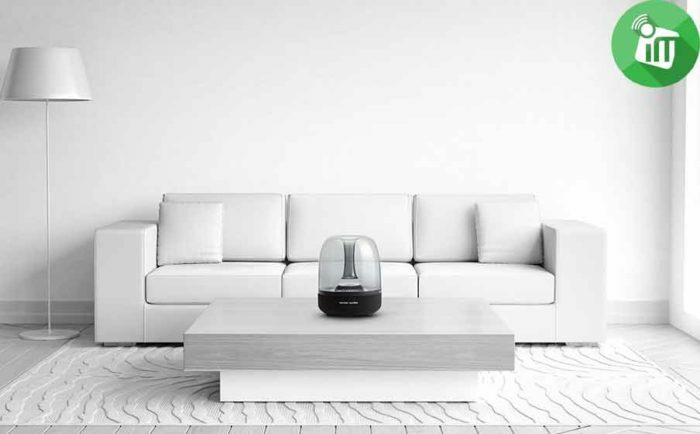 ♦ Built-in Bluetooth feature streams audio from your Bluetooth devices wirelessly. 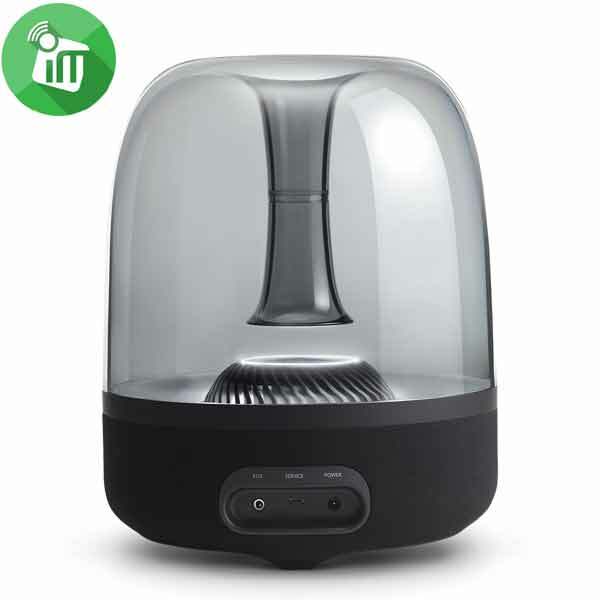 ♦ Built-in Apple AirPlay system with easy set-up for your Apple devices, and DLNA for Windows and Android devices. 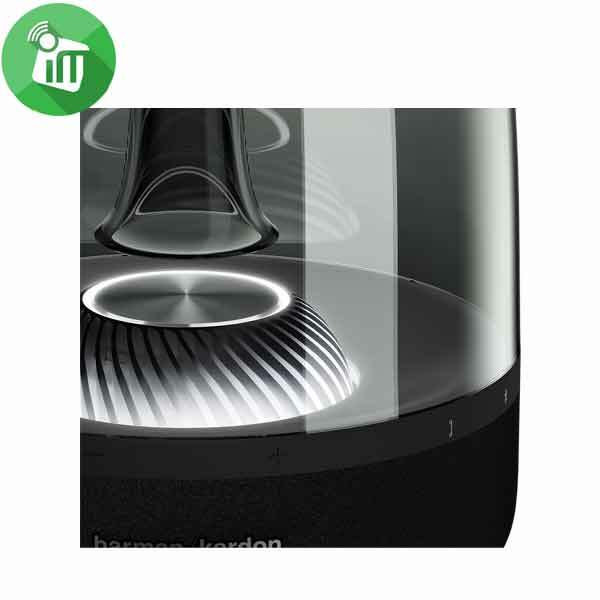 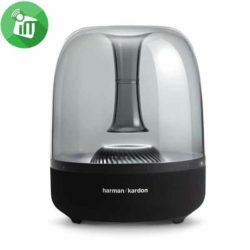 ♦ Customized Harman Kardon Remote app allows for easy set-up and added connectivity. so you can enjoy your music while you're out and about.